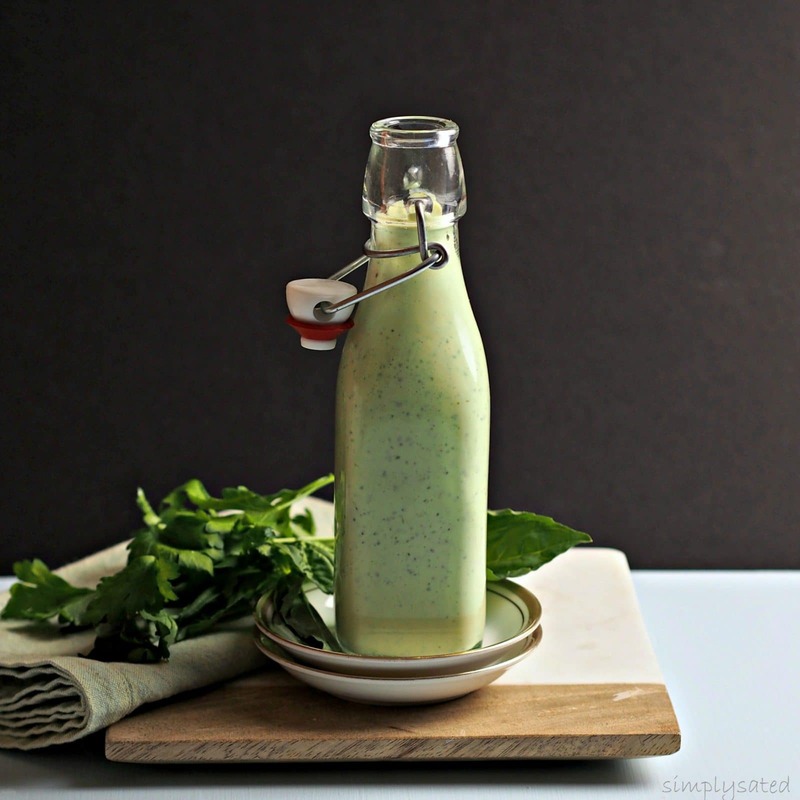 Basil Green Goddess Dressing has the “it” factor! It has the “wow” factor! It has the “Goddess” factor! I actually thought about naming it Aphrodite Dressing, after Aphrodite, the Goddess of love and beauty (and some other fun stuff). You might be wondering why this dressing was given the title “Goddess” – a name that perched it atop the salad dressing pedestal. Well I was curious, too, and did a little research. 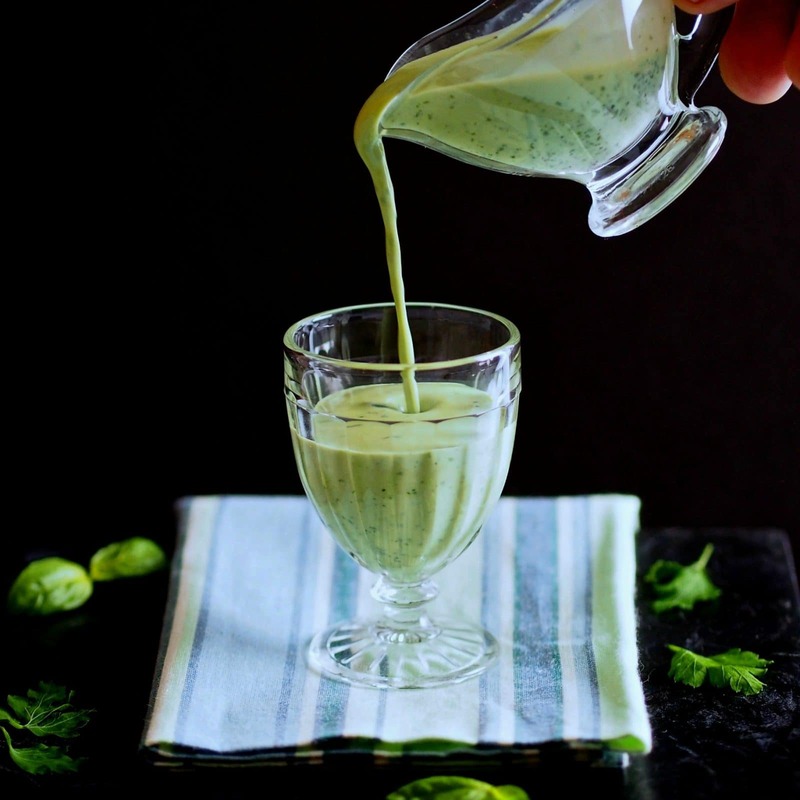 In a teeny tiny, itty-bitty nutshell, this is the story of Green Goddess Dressing’s birth. In 1923, the executive chef at the Palace Hotel in San Francisco wanted to pay tribute to actor, George Arliss, and the hit play, in which he was performing, by William Archer, The Green Goddess. The chef decided that creating a dressing was the perfect way to honor the actor. Last, but not least, the dressing also became a huge hit. Well, there you have it; Green Goddess Dressing was never named after any true Goddess. At first, the truth stung. I was disappointed because, by golly, my Goddess-Worthy Basil Green Goddess Dressing is so pretty and delicious, it exemplifies the name “Goddess” and is a dressing that is adored: not only in beauty but, also, in flavor. It is Goddess-Worthy Basil Green Goddess Dressing, and I hope it isn’t disappointed if it ever finds out it is only named after the goddess of William Archer’s imagination. 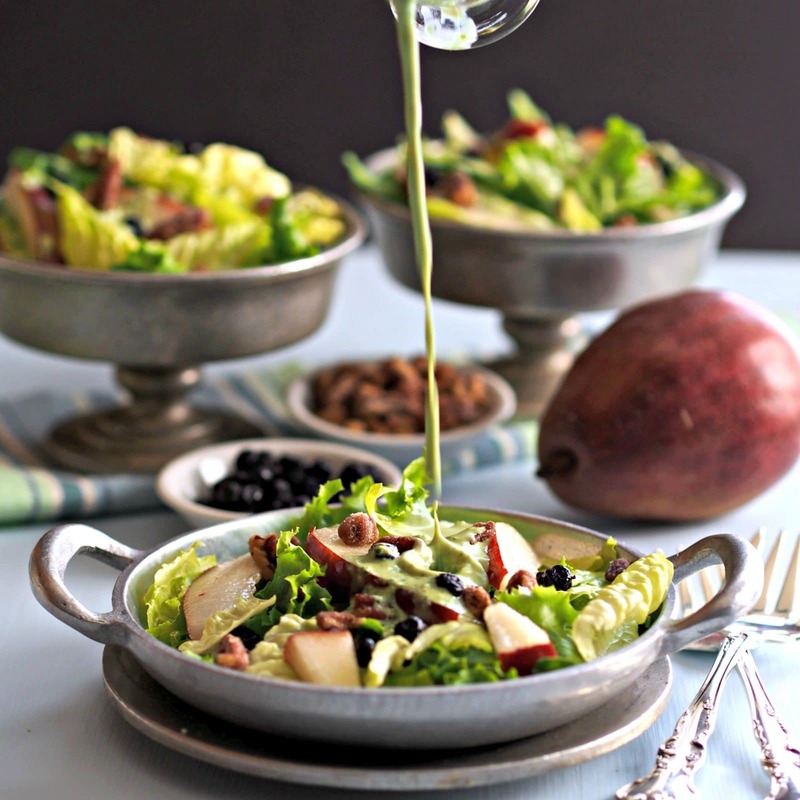 For a goddess-worthy salad, serve Basil Green Goddess Dressing with Pecans Blueberries Pears & Greens Salad. Place all ingredients except the olive oil in a food processor fit with the steel blade. Pulse ingredients until smooth and creamy. With food processor on, drizzle in olive oil and process until oil is incorporated. Place dressing in an airtight container and refrigerate several hours or overnight before serving. *See notes. 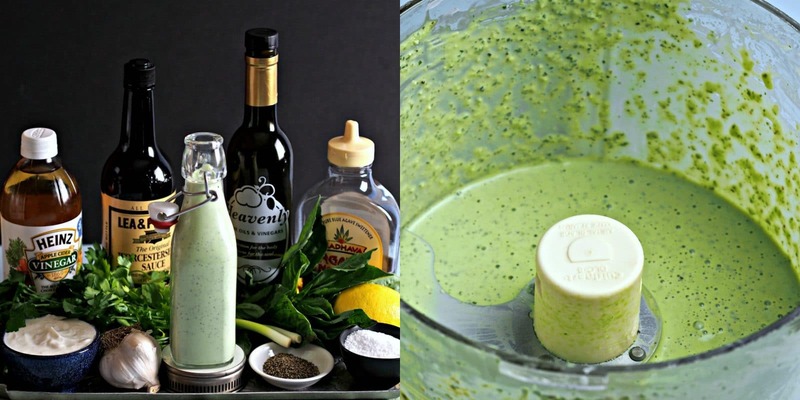 *Green Goddess Dressing tastes the very best after the flavors have a little time together, but it is still delicious if served immediately. I think basil makes for a delicious dressing and not used enough. This is a great recipe. 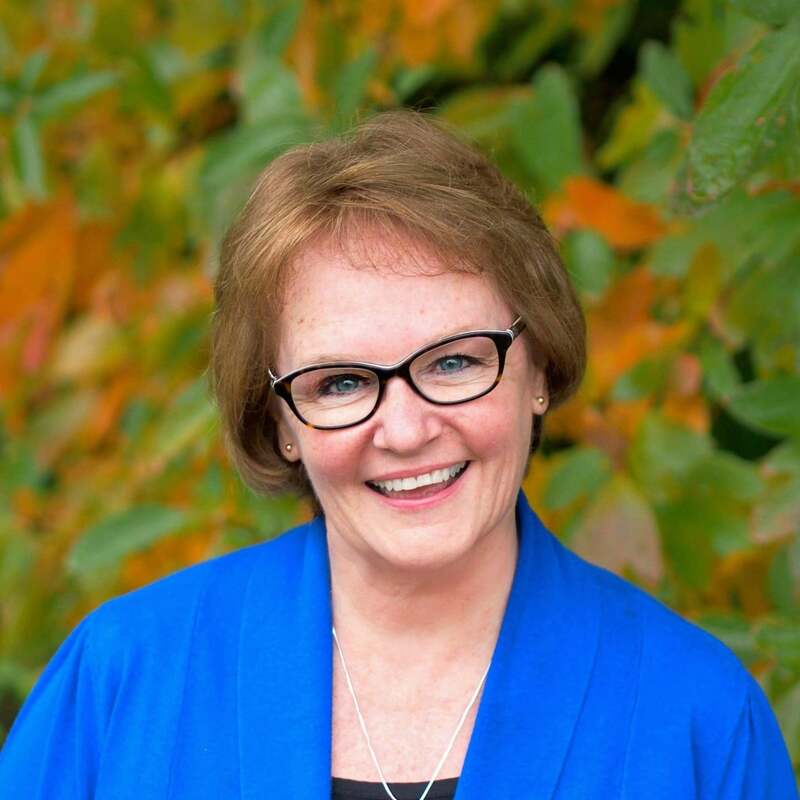 Thank you, Janette and thanks for stopping by. Ha! I was expecting to find this dressing had roots way back to Grecian times, bu nevertheless, it is a delicious sounding recipe and would be fit for any goddess! Thank you, Mary. I know and I was surprised Miss Green Goddess doesn't have godly roots. ...fun to learn something new every day. Thanks a million for stopping by. 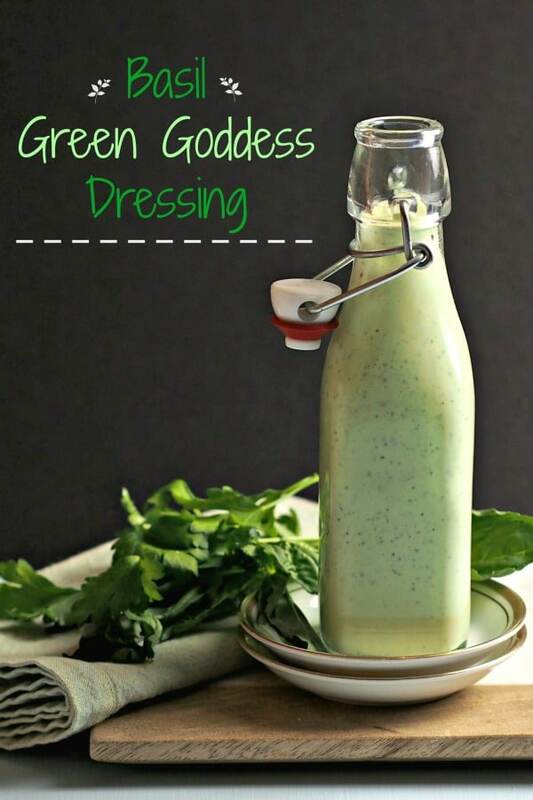 Love this DIY green goddess. The basil must add a great side note. What a gorgeous dressing...and so versatile! I am thinking it would also make a wonderful marinade too! What a delicious salad dressing. Pinned for later! Pure fabulousness! I love this! I love dressings in salads and this is sure a winner! I'm loving it this basil dressing. Brilliant idea. Need to try this as soon as possible! 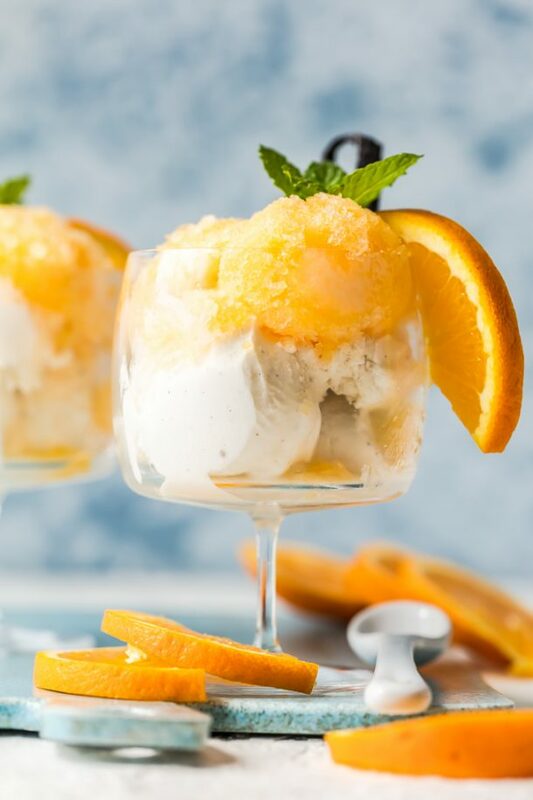 Love this recipe, especially the "zing" of the yogurt. Any suggestions for shelf life, if stored airtight in fridge?